The Choral Guild of Atlanta is an organization with a long history of service and commitment to the cultural environment in the Atlanta area and beyond. In its 72nd year, the Choral Guild is a true community chorus, with membership open to anyone who meets musical qualifications. 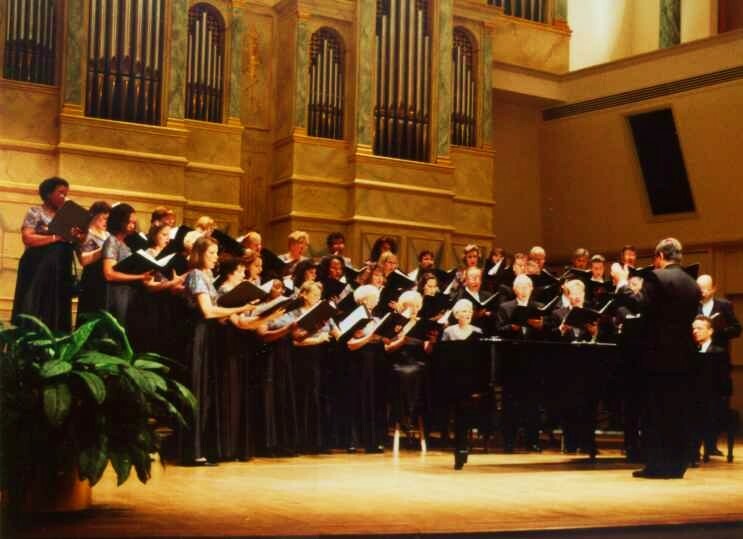 Their concert of May 6th, 2012 was titled “Georgia: The Past Meets the Present.” It featured choral settings of music from the Civil War era in the first half of the program and choral works by contemporary composers who have a connection to Georgia in the second program section. A few weeks before the concert, Travis was notified by Director Clair Maxwell that his anthem, “Amazing Grace! Eternal Life!” had been selected for inclusion in the second half of the program. Travis was also invited to attend the concert and to introduce the anthem, which was the first selection in the second half of the program. “It was great to be able to join you for the afternoon concert. You sang (and conducted…and played) with sensitivity and artistry as you shared a variety of lyrical content. The emphasis on the value of various musical styles and genres was reflected in the eclectic nature of your program and in your attention to lyrical messages that were sometimes historical and sometimes literary or spiritual. My wife and I greatly enjoyed the concert, and I am honored that you chose to perform “Amazing Grace! Eternal Life!’ and did so with excellence. We also enjoyed the opportunity to meet and talk with many of you in person. Blessings to you all as you continue to use your God-given talents and sing together with your Atlanta Choral Guild family. * A community is a group of people who care about one another. It was obvious that many of the people in the Choral Guild have been members for a long time and have grown to love one another like an extended family. * A community works together to accomplish common goals. 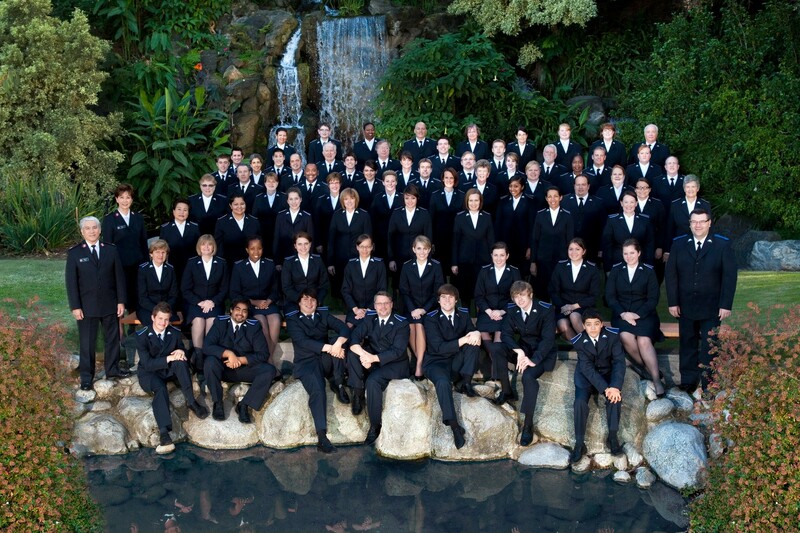 Whether rehearsing for a concert, recording a CD, or touring around the world, the Choral Guild has obviously been working together to promote and enjoy choral music for many years. * A community welcomes opportunities for growth and for new community members. Through the eclectic and historical nature of their program, the premiere of a new work, the inclusion of contemporary composers, the opportunity for composers to be invited to attend the concert and introduce their works and then spend time in conversation with chorus members, other composers, and guests, the Choral Guild of Atlanta has demonstrated a desire to embrace both historical and contemporary music as well as works in various styles and with both sacred and secular texts. 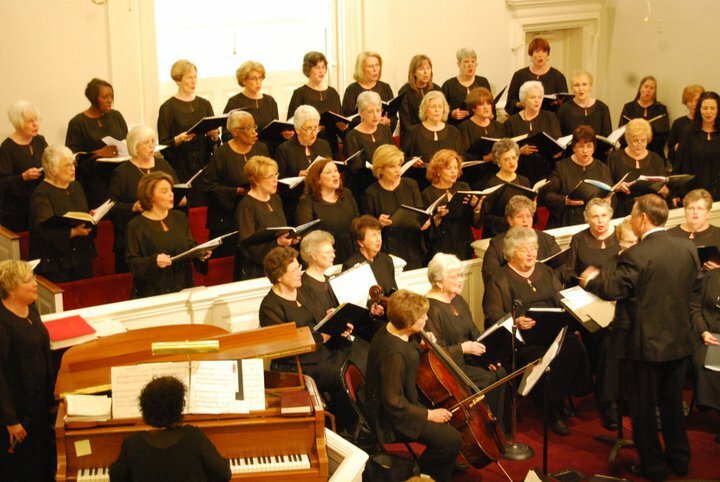 Their website offers audition information for anyone wishing to become a member of the Atlanta Choral Guild. 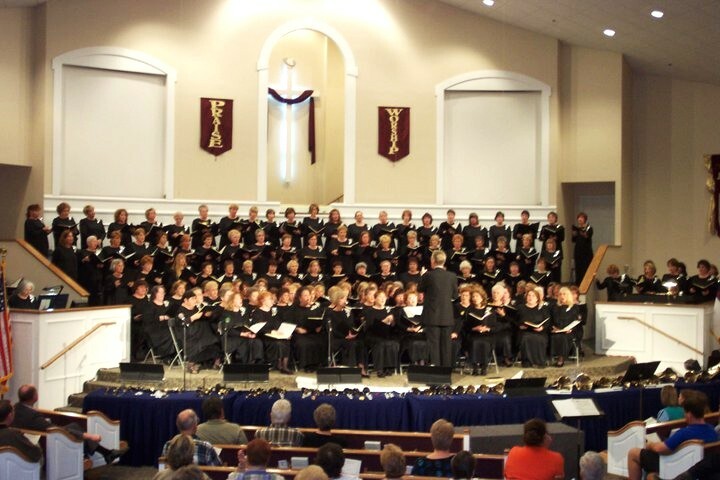 From our experience, I am sure that along with becoming a representative of the organization and a member of the chorus comes a membership that is of even higher importance: inclusion in a community of committed volunteers who are doing their part to see that choral music remains an important cultural force and a viable and valuable form of musical expression. 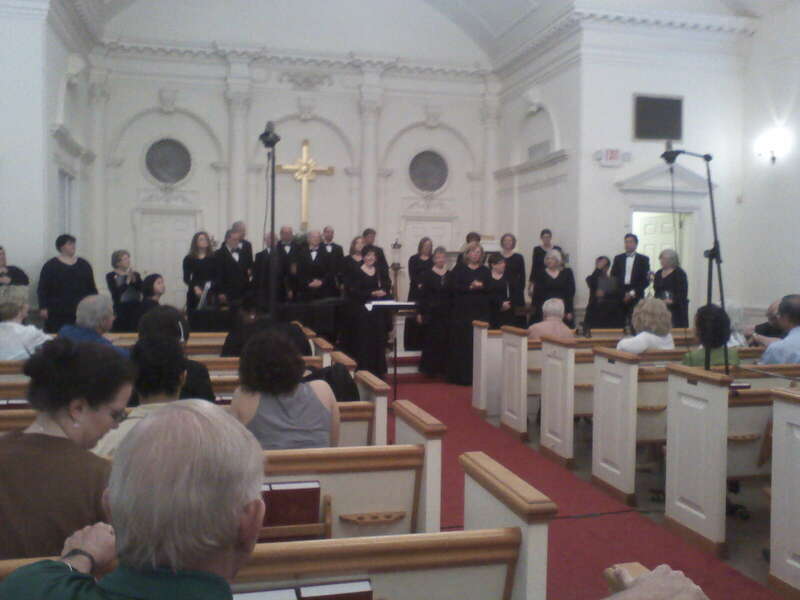 This photo of the Atlanta Choral Guild was taken at the concert described in this blog post. To hear the original studio demo while viewing the music on the Lorenz product page link above, click the demo link (music notes), minimize immediately, and then click the sample pages link (Adobe icon). A performance/accompaniment CD which features the full orchestration is also available. “Amazing Grace! Eternal Life!” has also been performed and recorded by the Farrells of the Tom Farrell Evangelistic Ministries as the title song on one of their CDs. The CD is still widely available in many Christian bookstores. There are two additional posts about “Amazing Grace! Eternal Life!” on this blog. 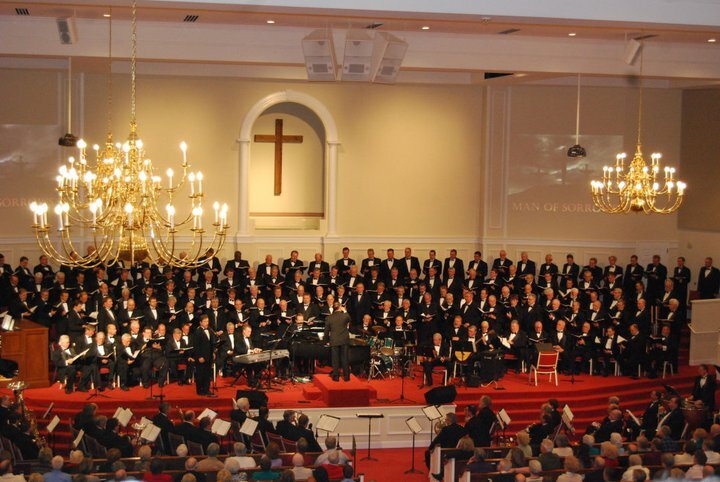 The Georgia Baptist Convention’s Sons of Jubal are a large Men’s Chorus from all over the State of Georgia, Directed by Dr. Jon Duncan. The Sons of Jubal meet together for a retreat to rehearse, introduce new members, and learn new music in January each year. Then, they present worship concerts in Churches and other venues once a month except in the months of December, June, and July. Many of these men are full-time or bi-vocational Ministers of Music and Worship, and some hold other positions of leadership and service within their home churches and within the Georgia Baptist Convention. Travis has been a member of this group since January of 2009. It has been a joy for him to have the opportunity to meet and serve with these gifted and dedicated men. It has also been a great learning experience for him to travel around the state to present worship concerts in various churches. We are getting to know the state, the communities, the churches, ministers, and ministries, the needs, and the people of Georgia through the experiences and relationships that have come our way because of this group and the women’s choir, The Jubalheirs. The Sons of Jubal have sung several songs written by Travis. Before we moved to Georgia, they were singing “God is Faithful” and had recorded it as the title song on one of their CDs. They have also sung some of the TTBB arrangements done by Travis for The Singing Churchmen of Oklahoma. The Sons of Jubal Ensemble, directed by Steve Brown, is currently singing Travis’ a cappella arrangement of “(I Am a) Friend of God.” The current repertoire of the full choir includes Travis’ song, “A Prayer for the Saints,” which was recently recorded on a new Sons of Jubal CD titled “Washed Away”. We are thankful that the ministry of the Sons of Jubal will allow these songs to touch many hearts. For us, the song that we will always associate with The Sons of Jubal is “Where You Want Me to Be.” Though the song has also been performed by The Singing Churchmen of Oklahoma and was part of the Churchmen’s 50th Anniversary Concert repertoire, directed by both Dr. Ken Gabrielse and Dr. Bill Green, “Where You Want Me to Be” was originally arranged in TTBB voicing for The Sons of Jubal and is dedicated to the group and to Dr. Jon Duncan. It has seemed very fitting that the first Sons of Jubal song on which Travis sang a solo was “Where You Want Me to Be.” In this, and in many ways, the Lord has confirmed in our hearts his calling to our current church home and place of service in Georgia after many years of serving in Oklahoma. The true message of the song, “Where You Want Me to Be” goes far beyond geographical location, however. It’s a message for every Christian, one that our Christina brothers and sisters in both Oklahoma and Georgia and all over the world can take to heart. “Where You Want Me to Be” is about surrender. It is only through surrender to God’s sovereignty that we find peace in a broken world. It is through surrender to His call that we find joy in serving. It is through surrender to his Holiness that we are humbled and see ourselves as we are…in need of a Savior, in need of His presence and guidance in our lives, and in need of His mercy. Ultimately, it is in surrender to His plan for our lives that we find our purpose and draw upon His strength to become what He made us to be. It is this unity of purpose in seeking to glorify the Lord in all of life and through the gift of music that has drawn our hearts to the wonderful people that we have met in Georgia, and we look forward to many more years of serving together and bringing praise to our God. As we all choose to surrender ourselves and seek to reflect His light more and more, we are right where He wants us to be. Look for this identifyling Title / photo thumbnail for “Where You Want Me to Be” on both our Adult Choir Music Page and our Shopping Cart page on the WorshipSounds website. http://www.worshipsounds.com“Where You Want Me to Be” is available as an SATB or TTBB Choral Anthem on the ‘Adult Choir’ page on our website. The PDF Master for this anthem can be purchased and downloaded for $15.00, with no additional per copy cost. You are given permission to print as many copies as needed for your own choir and accompanists. * There is a Vocal Solo version of “Where You Want Me to Be” on our website’s Home Page in the left sidebar. The cost of the Vocal Solo PDF is $5.00, with permission to print copies as needed for your Soloist and Praise Band (chord symbols included on music) or Accompanists. You’ll find the Vocal Solos on our website’s “Vocal Solos” page. * There is a Full Orchestration for “Where You Want Me to Be” that will work with either the Choral Version or the Vocal Solo version of the song. The bundled PDFs for the Orchestration can be purchased for $30.00 and include a Full Score, String Reduction for Keyboard, and reproducible parts for all string, wind, and percussion instruments. * There is an Accompaniment Track for “Where You Want Me to Be” that features the Full Orchestration and works for either the Anthem or the Vocal Solo. The Accompaniment Track is available as an Mp3 download for $10.00. Here’s our recording of the “Where You Want Me to Be” Accompaniment Track (with Solo demonstration vocal) on Sound Cloud. (Note: On the website, you can hear this as you view a video demo that also shows the vocal line. for your Choirs, Ensembles, Orchestra, Congregation, and Soloists! 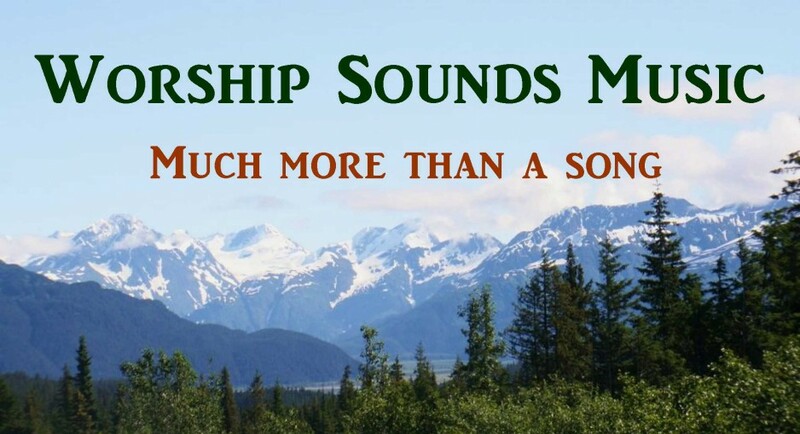 Click on the photo above to go directly to our Worship Sounds Music website. PERFORMANCE VIDEO: View The Sons of Jubal worship concert performance video of “Where You Want Me to Be” below. On our website, you can also view the music as you listen and watch a computer demo of either the SATB or TTBB Choral (or the Vocal Solo). Blessings to you as you surrender to serve right where He wants you to be! Other songs written by Travis L. Boyd that were mentioned as a part of the recent or current repertoire for the Sons of Jubal are also still available. * “A Prayer for the Saints” is available on our website, as an SATB anthem and in a worship pack for use in congregational praise. Here is a link to a CNN Video about the Sons of Jubal trip to a Choral festival in N. Korea in April of 2012. The video includes an interview with the group’s Director, Dr. Jon Duncan. "Where You Want Me to Be"
The Singing Churchmen of Oklahoma will always be such a special group of brothers for me. As a member of the Churchmen for over 18 years, I have very close friendships with so many of the fine Ministers of Music and Worship in this group. We’ve travelled around the world together, sharing the good news of Christ though music, testimony, and every other way imaginable. I’ve been to Russia, Estonia, Latvia, China, Hong Kong, and Australia with this group. It has been a joy and a blessing to know these men, worship together with them during rehearsal times and concert performances, and then serve with them in other mission opportunities. One of the things that is most special about this talented group is their love for the Lord and for each other. These brothers pray for one another and are willing to help any of the group that may have a major need. We’ve seen God answer so many prayers. We’ve prayed for healing for each other, for those who were seeking a place of service, for family situations, and for God to use our efforts to glorify Himself. We’ve also prayed for doors to open in the countries to which we’ve travelled. There were often large stumbling blocks that could have been a real problem for our group and our ministry; but time after time, we saw God answer the prayers for open doors in really miraculous ways. For example, our group made the trip to Russia, Estonia, and Latvia just after the fall of Communism, in Spring of 1993. We were even able to minister and share the gospel in public schools, which was really amazing. 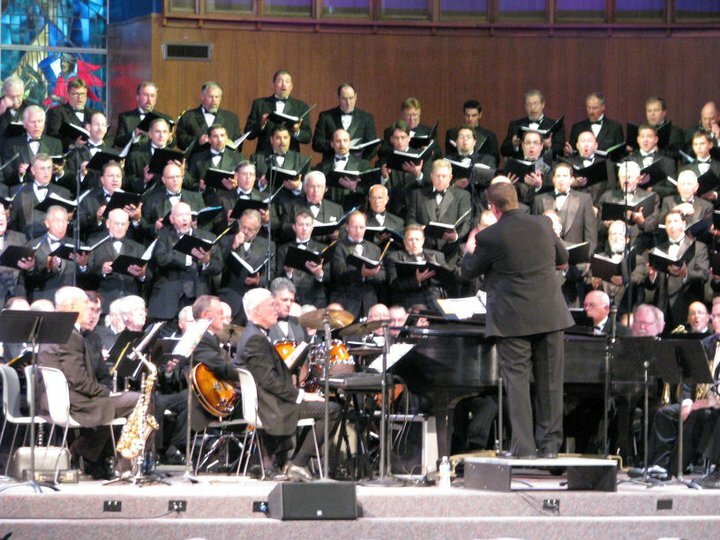 In our ministry as a group and in our individual lives, all of the Singing Churchmen of Oklahoma could testify to the faithfulness of our God. I was inspired to write a song about God’s faithfulness in my life, and I shared it with Dr. Bill Green, who was then the Director of both The Singing Churchmen and The Singing Churchwomen of Oklahoma. Brother Bill loved “God is Faithful” and made it part of our concert repertoire for several years. The next time the Churchmen recorded a CD, “God is Faithful” became the title song. The song was eventually published by the Monarch division of Lorenz music, and I have no idea at this point how many churches are still singing it. I do hear from people regularly about how this song has touched their lives. That’s the biggest blessing of all. It’s a wonderful privelege to be able to share this message of God’s faithfulness with my brothers in Christ in both Oklahoma and Georgia. The Sons of Jubal also have sung “God is Faithful,” and it became the title song of one of their CD’s (recorded in a different year & with different repertoire from the Churchmen CD). In addition, The Singing Churchwomen of Oklahoma have sung “God is Faithful” in many church concerts. It was also sung in Australia during our Singing Churchmen mission trip, but not by the men. The wives who went along on the mission trip to Australia in 2003 had their own choir, with over 80 of the women choosing to participate. 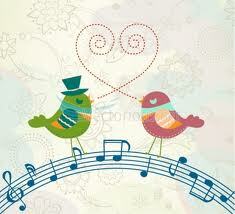 They divided into 2 choirs for some events and sang together for others. These women gave concerts in churches all over the Sydney area (even in nearby seaside communities such as Cronulla) and then all over the Brisbane area, even singing at a pineapple canning factory. They were the groups that were singing “God is Faithful” in Australia, though everyone who went on that trip could testify to God’s faithfulness in so many ways. Many times, the message of “God is Faithful” has ministered to Cindy and I as we have faced trials. She has said that in the messages God inspires me to write, He knows the message that we will need to hear at some point in our future. If the song “God is Faithful” has been a blessing to you, remember that it is not the song itself that is the source of blessing. It’s the TRUTH of the message of this song that makes it so meaningful to those of us who are walking with the Lord. What a blessing it is to know that our God is faithful in all things, and that he is ever-present in our lives! Here is the audio from my Sound Cloud of the recording of “God is Faithful” made by The Singing Churchmen of Oklahoma as the title song of one of their CDs. You can VIEW THE MUSIC AS YOU LISTEN to the demo by going to the publisher’s product page for “God is Faithful” at the link below. Click the listening icon, immediately minimize the media player, and click the Adobe sample page link to see and hear the music simultaneously. on our WorshipSounds Music website. This photo is of The Singing Churchwomen of Oklahoma in concert at Regency Park Baptist Church in Moore, Oklaoma, with Dr. Bill Green directing. The Singing Churchwomen of Oklahoma are a group near and dear to my heart. Not only was my wife, Cindy, a member of this group for over 14 years, but we also know so many of the women personally. When Cindy joined the group, we were living in Western Oklahoma; so she was part of the Singing Churchwomen West (the group is so large that they only combine the East & West groups once of twice a year. In most months, each group gives a concert on their side of the state of Oklahoma). A few years later, I was called to a church on the East side of the state, so Cindy was then a part of the Singing Churchwomen East for several years and eventually served as their President-Elect and then President. In addition to these connections, some of the women are the wives of Ministers of Worship; and their husbands are in The Singing Churchmen of Oklahoma, a group which I was a member of for 18 years. I’ve met some of the wives of my brothers when they would come to our concerts or even come along as travelling companions on our mission trips. There were also women in the group who had been part of my church choirs from all 4 of the churches that I had served in full-time ministry in Oklahoma. The Singing Churchwomen are a very special group of women who love the Lord and each other and love to sing praises to the Lord. I have heard some amazing, angelic sounds from this group. It has been my joy to arrange and compose music for The Singing Churchwomen, and to hear them sing some of my music in concert and in the recordings that they have made. In addition to pieces that I was asked to arrange or re-voice for the group, they have also sung (and sometimes recorded) many of my original choral pieces in SSAA arrangements, including “You Are a Spring,” “Let the Trumpet Sound,” “He Took Up a Cross,” “One Like Me,” and “God is Faithful.” I’d have to say my favorite song to hear them sing was my choral anthem entitled, “I Am Here.” This anthem is a message of hope and encouragement and a reminder that God is right here with us even when the circumstances of life are very difficult. Knowing so many of these women and the challenges and trials they have overcome and endured, it was like listening to the beautiful combined voices of so many sisters in Christ, sharing their personal testimony of God’s nearness in their time of need. This particular photo is very meaningful to me because I served at Regency Park Baptist Church, where this concert took place, from 1989 until 1993. We still have a lot of friends from this church and attended their 50th Anniversary Celebration in July of 2011. It was this church for which I wrote “I Am Here” after their buildings and over 40 members’ homes were destroyed in the May, 1999 F5 tornado that hit Moore and Southwest Oklahoma City. The nearness of God’s presence is so necessary and comforting when our lives have been turned upside down; and there is no more meaningful picture of this fact for me than to see this photo of the group that so beautifully sang the message of “I Am Here”…. in concert in the new worship center built by Regency Park. And, He was there…just as He is here now. Sometimes, we need a reminder of the nearness of our God. Whether we are just feeling alone or are in a time of trial, the assurance of God’s presence is a healing gift to our spirits. This assurance often comes directly from His spirit within us. Sometimes it comes through reading scripture or through a sermon or testimony. And sometime, it comes in a song. Be encouraged. He is here! Be encouraged! I am here…. In the power of the cross. Rest assured that I’ll be with you! There is also an Orchestration for the Choral Anthem. Please feel free to share this URL with anyone who is looking for answers about life, eternity, and peace with God. The testimony of others can be uplifting and encouraging to believers. That’s really our main task… our mission… to share the good news about the love of God, His gift of salvation, and how He continues in relationship with His children, at work in our lives in ways that we often don’t even see. We must share these truths and the difference that knowing Him has made in our lives with those who don’t know the Lord and also with each other. We never know how the Lord may use our personal salvation or faith walk story in the lives of others. As Christians, sometimes the testimonies that help to strengthen our faith walk are from people that we know personally. At other times, we may read them in a book or magazine, hear them on the radio, in a movie or television show… or even in a song! Note: The Orchestration heard on the Pasadena Tabernacle Songsters’ recording of “Children of Light”, commissioned by the Choir’s Director specifically for their recording project and mission trip repertoire, remains unpublished. Travis contacted the publisher after finishing the Orchestration to see if they wanted to publish it. However, the publisher declined. It is, unfortunately, not available for purchase since the song is under Shawnee Press / Hal Leonard copyright and the commissioned orchestration is owned by the group (though they were willing for it to be published). on our Worship Sounds Music website. Through the years, our lives have been blessed and enriched through the experience of worshipping together with other believers. As we all focus on our loving God and Savior, our hearts are united in praise. Many of these experiences have been in our local church congregations, while still others have been at camps or retreats, special worship concerts, prayer meetings in homes, or even in choir rehearsals. It has been especially meaningful to Travis when his music has been a part of these times of worship, whether in large settings or in the home of a friend and brother in Christ. Many of our closest relationships have been with fellow worshippers who have servant hearts and long to use their gifts to glorify the Lord through music, often in choral groups. These incredible times of worship and fellowship are only a faint shadow of the rejoicing and praise that will take place in eternity. Many times, we’ve imagined all of these choirs and congregations…and so many more…gathered around the throne of God in worship. We’re very thankful that God has called Travis into His ministry and has allowed him to write songs that have been used by these choirs (and so many others that we’ll never know about this side of heaven) to worship and praise the Lord. 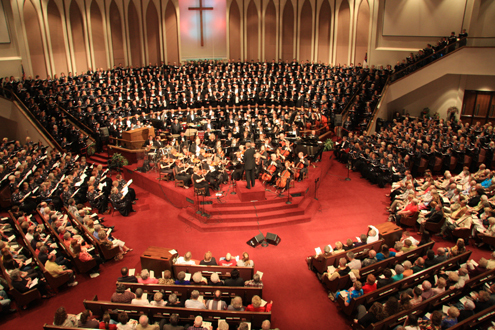 In this photograph (courtesy of the Baptist General Convention of Oklahoma), The Singing Churchmen of Oklahoma, The Singing Churchwomen of Oklahoma, and The Oklahoma Baptist Symphony are in concert at the First Baptist Church of Moore, Oklahoma. Choir members from both choral groups not only filled the choir loft but also two sections of pews, one on either side of the platform, and the steps to the balcony on both sides of the choir loft. A Concert DVD and CD were recorded live at this incredible worship concert, and Travis’ SATB choral anthem, “Amazing Grace, Eternal Life!” (published by the Lorenz Corporation, Monarch Division, 10 3228M) was a part of both the worship concert and the recordings. What an incredible day this was, as over 700 musicians from all over the State of Oklahoma worshipped together all through rehearsals and on through the concert that evening. Soli Deo Gloria! Here is the Sound Cloud audio of the recording of “Amazing Grace! Eternal Life!” made by The Singing Churchmen and Churchwomen of Oklahoma and the Oklahoma Baptist Symphony. What a blessing these groups have been in our lives and in the lives of countless others around the world. All glory and praise to our Lord and Savior Jesus Christ, who, through His amazing grace, made it possible for us to have eternal life. 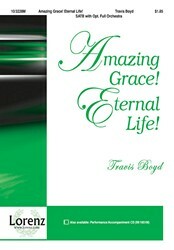 by going to the Lorenz information page for “Amazing Grace, Eternal Life!” using the link below. immediately minimize the media player for the demo, and then click on the Adobe sample page link. “Amazing Grace, Eternal Life!” is a majestic anthem of testimony, steadily building in intensity to the victorious ending. The words to the bridge come directly from scripture, John 3:16 & 17. There is a peace that all can know. It calms the heart and heals the soul. “Come Unto Me,” the Savior cries! For us to believe in Him. But to save us from our sin! Who on the name of Jesus call. A place of rest, a throne on high…amazing grace! Eternal life!